These figures were released to promote the 8th Pokemon Movie Mew and the Wave-Guiding Hero: Lucario (ミュウと波導の勇者 ルカリオ) in Japan and Lucario and the Mystery of Mew in the USA. These figures, however, are exclusively released for 7-11 Japan. 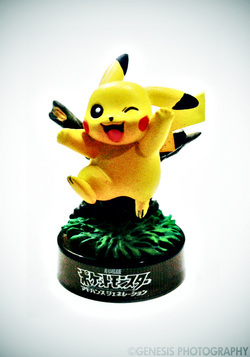 There are 8 figures of Pokemon characters that appeared in the movie that comprises this set. This is the most special figure in my collection. It is because it's the first Pokemon Kaiyodo figure and as my friend will call it, the core of my collection. It started my dedication in these detailed figures. It was bought off cheaply from a toy store and has since awakened the collector in me. It has the same mold as the other Pikachu bottlecap figures with the only different thing is the background. 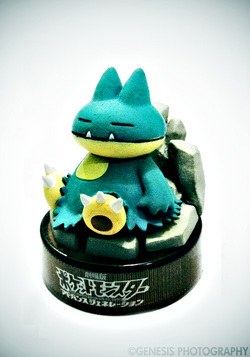 Munchlax was bought from eBay together with Mime Jr., Bonsly, and Weavile as a set. It is similar to its Pokemon Movie '07 counterpart besides the different background and color of Munchlax. Mime Jr., together with Munchlax, Bonsly and Weavile, were acquired from eBay as a set. 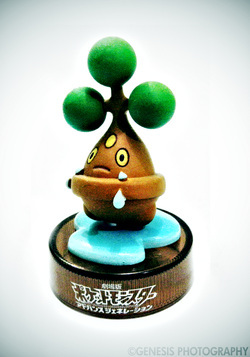 Bonsly is one of the figures bought from eBay as a set together with the other figures from the same set. 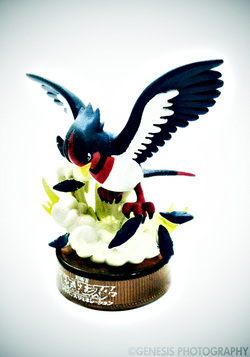 Swellow is one of my more favorite bottlecap figures and was acquired from a toy store before having the ability to buy things in eBay. 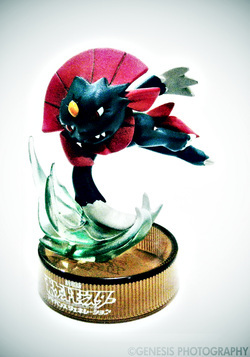 Another one of the figures obtained in the set of bottlecap figures from eBay was Weavile. Lucario is the last figure needed to complete the bottlecap figures. 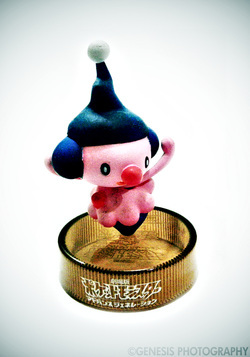 It was bought from miiyamoto, a friend from PKMNCollectors. 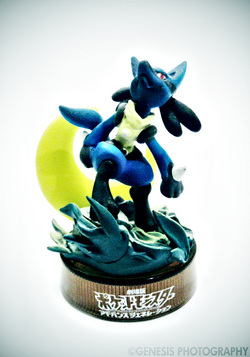 It is pretty much the same as the Lucario bottlecap figure from the 10th Anniversary set except for the color of the moon. 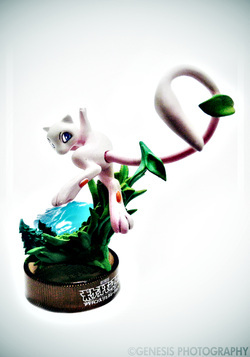 Mew is one of the more expensive bottlecap figures from the series. A few of them appeared in eBay but once I was ready to buy one it was sold out. Fortunately the seller still has one though unpacked and that its base is not really for Mew. Since then, I searched for another one that has a base which matches the figure.